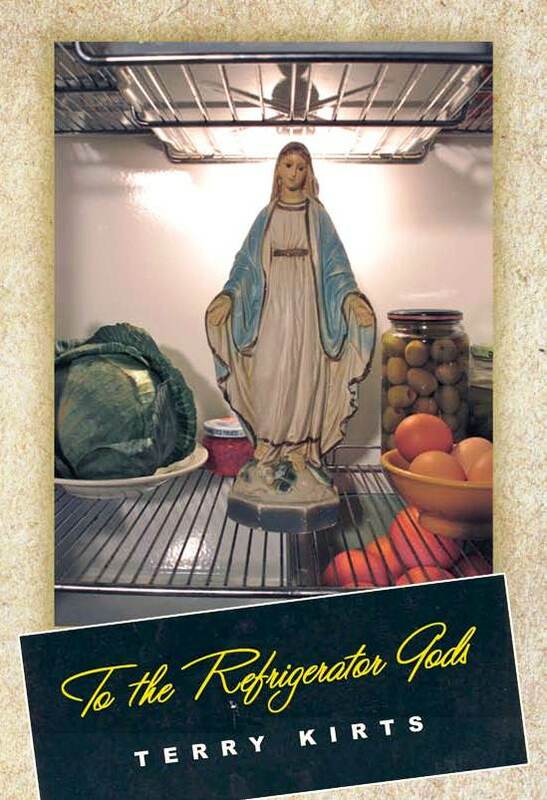 To the Refrigerator Gods. Number Eight in the Seven Kitchens Press Editor’s Series, selected by Ron Mohring. Cover photo by DeAnne Roth (with Kip Normand); cover design by Dan Kraner. Terry Kirts is a senior lecturer teaching creative writing and literature in the English Department at Indiana University-Purdue University Indianapolis. His poetry and creative nonfiction have appeared widely in journals, and his work has been included in the anthologies O Taste and See: Food Poems, This New Breed: Gents, Bad Boys & Barbarians 2, and Home Again: Essays and Memoirs from Indiana. His culinary articles and reviews have appeared in WHERE, Indianapolis Woman, and NUVO Artsweekly, and he is currently the dining critic for Indianapolis Monthly. He lives in Indianapolis. in a very important study about macaroni and cheese. the long blue cloth Veronica held up to wipe his face. When do you usually eat macaroni and cheese? of the nutrition chart rising like stock prices prices in my head. Whom do you usually eat macaroni and cheese with? and its seasonal names–the puns about elbows and tubes. I would not eat while the lunch room monitor stood guard. scraped the tray into a bucket, and hung my head. where a vast sea of casseroles strolled by on conveyors. the crowd like a familiar planet, a storybook image of Oz. dirty making macaroni and cheese right before our very eyes. Please click here to order Terry’s chapbook.